An official press release from the California State Governor’s office announced yesterday that Governor Arnold Schwarzenegger vetoed SB 400 that proposed electronic cigarette ban in the state of California. … authorize action to halt the sale, distribution, or offering for sale of electronic cigarettes. I am returning Senate Bill 400 without my signature. Items defined as “tobacco products” are legal for anyone over the age of 18. If adults want to purchase and consume these products with an understanding of the associated health risks, they should be able to do so unless and until federal law changes the legal status of these tobacco products. I’m sure this news comes as great relief to electronic cigarette smokers everywhere especially in the state of California! It also seems that the scales may be tipping back in the favor of electronic cigarettes in spite of this proposed ban. This may be a result of electronic cigarette supporters I have seen all over the internet organizing letter writing and telephoning campaigns through Facebook, Twitter, forums and blogs (like this one). Organizers really had to scramble on this California legislation because, as I documented in the call to action (CTA) in a previous post, there was only a little over a month to take action once it became clear what was going on. The SB 400 veto response letter is very short, but I wanted to do a little analysis and commentary on it as well as talk about some of the implications for those who are involved in the fight against electronic cigarettes bans. In the first substantive paragraph of Gov. Schwarzenegger’s response he states his position supporting restrictions on the sale of the electronic cigarettes, but then passes the buck on the ban and basically says that his hands are tied because of litigation in federal court. Gov. Schwarzenegger doesn’t specify, but I assume the litigation he is talking about is the case against the U.S. Food and Drug Administration (FDA) in which two electronic cigarette distributors based in the U.S. that sell the NJOY and Smoking Everywhere brands are suing the FDA for detaining their imports of electronic cigarettes. The two distributors in this case claim that their electronic cigarettes are tobacco products and not drugs and are against any type of ban because the nicotine used in the cartridges is extracted from natural tobacco. The FDA is currently considering this definition, but is probably just having a hard time figuring out how to make it up to Pfizer after the FDA undoubtedly accepted tons of cash from the Pfizer branch of “Big Pharma” to approve their Nicotrol™ nicotine inhaler. The difference between electronic cigarette distributors and Pfizer is that Pfizer is making health claims and selling their device as a smoking cessation product which requires FDA approval and electronic cigarette distributors are not. So, it looks like Gov. 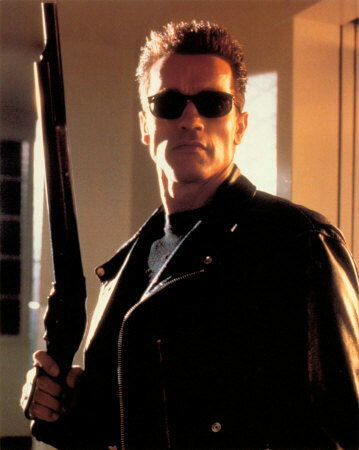 Schwarzenegger has saved himself some time and trouble now and in the future by vetoing this bill. Wouldn’t it look bad if a state banned the sale of electronic cigarettes and then the FDA cleared them? Watch out Oregon! It seems like the governor is very busy with budget problems in CA anyway so when he saw an easy way out he took it. One of my favorite definitions of freedom is that a person can do what they please so long as it doesn’t hurt anyone else. In this case the definition seems to fit. I have one final comment. I know Governor Schwarzenegger’s position in government has been controversial in some ways, but I am surprised at how smart this move and the speech in his letter seems to be. I am not just saying this because I am anti-electronic cigarette ban either! And, yes I know he may not have written it and probably has a lot of aides doing his research. It just really seems like the CA Governor’s office did their homework well enough to find out about the case against the FDA in Washington and thought about it long enough to realize its smart to see electronic cigarettes as simply another tobacco product and to NOT ban them. Oh, and I guess avoiding the potential for, “egg on the face,” once the FDA creates its own legislation was prudent motivation also. Also, we never know how much the e-mails / letters we wrote and the phone calls we made influenced the decision, but I believe he and others in the Governor’s office listened based on the choice of words used in the response letter and their similarity to letters I saw that were sent to Gov. Schwarzenegger. That being said, if you want to participate in the next Call to Action to possibly help prevent another electronic cigarette ban in the future then visit the visit the article I put together that explains the cause and then subscribe to the e-mail list and check the box listed subscribe to CTAs. If this company truely believes that this product is going to benifit peoples and not just get them addicted to something else. Or they are not just out to make money then they need to put it in stores. This way we don’t have to give away our credit card numbers just to try them and give our opinion. On that note I stand behind the ban because they probably wont do that. There are also several other brands being sold in mall kiosks which is where I think most of the fuel for the ban arguments is coming from. I support banning the sale of electronic cigarettes to minors. You sir, are an apathetic, paranoid simpleton. Ignorance begets ignorance Stephen. Addiction exists for anything and everything, it’s the individual choice and free will to choose what one chooses for themselves and not for anyone else. The fact that these electronic cigarettes don’t create smoke fumes, contain over 400 deadly chemicals and doesn’t create 2nd hand smoke are only benefits to those who already use cancer causing tobacco products. However, it is my humble opinion that when there are loopholes in the laws and regulations business will be exploit them, just look at Wall Street. There far more higher dosage smoking cessation options such as the gum and patch which are far more potent but the same exact thing. Some people quit using them and other just use them as the alternative to inhaling cigarette fumes. The electronic cigarette uses a very similar premise and should fall under that category I feel. You know one day I think I realized that the source of loopholes is legislation. No laws = no loopholes. I think liberal folks have good intentions like a kid plugging holes in a dike. The problem is for every hole that gets plugged, 2 or more new ones are created. I appreciate your reply. I humbly agree, you put it well and does seem to be the case these days.